Countryside Gazebos Canada is a family-owned Canadian company. We are the exclusive Canadian distributor for premium quality gazebos manufactured by skilled, experienced Amish craftsmen, and Canadian made patio furniture, wishing wells and garden accessories. After extensive research our engineering team has designed standards and specifications so that our manufacturers can provide quality, attractive strong, weather proof outdoor living structures to meet the need of the demanding Canadian environment. Whether it be frost, rain, snow or winds our gazebos have been designed to stand up to the challenge for many generations. Call one of our outdoor living space consultants to discuss the 36 competitive advantages of a gazebo from Countryside Gazebos Canada that guarantee the quality of your investment. 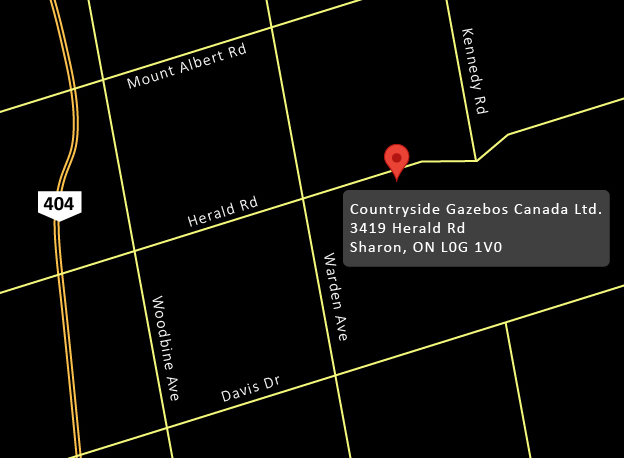 Countryside Gazebos Canada's main office and outdoor showroom is located at 18773 Old Yonge St, Newmarket, Ontario, and is a short drive from Toronto, Richmond Hill, Newmarket, Brampton, Barrie, Orangeville, and Aurora. 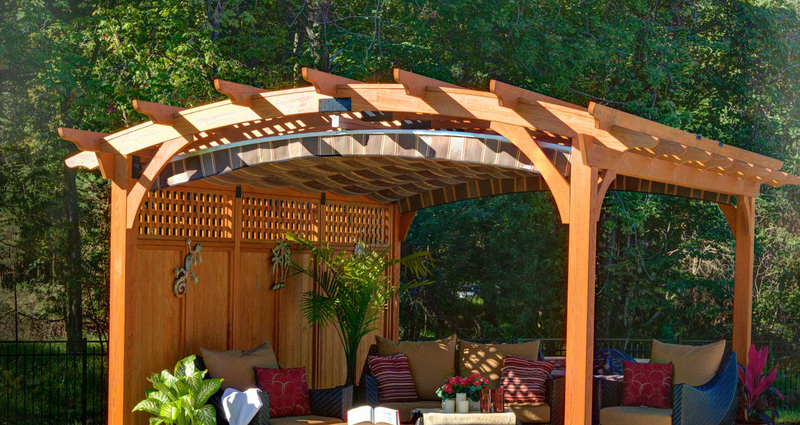 We look forward to earning your business and respect, with our extensive line of beautiful outdoor gazebos. We're a proud member of the Aurora Chamber of Commerce, the Aurora Business Directory, Landscape Ontario and associated with RMF Property Maintenance. Find us in the Yellow Pages.